Highways England needs to take decisive action if the best value is to be obtained from the current Road Investment Strategy, concludes a report from the National Audit Office. 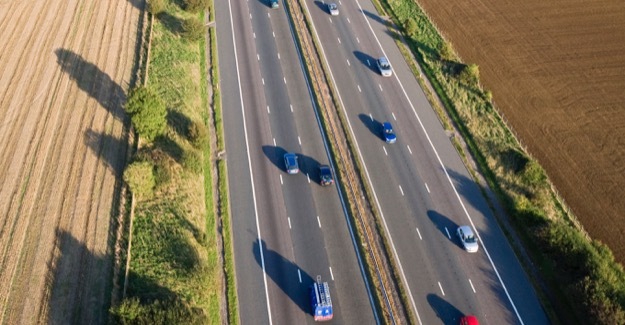 The NAO says that the RIS committed an investment of £11.4 billion in the first five-year period (2015-20) for enhancement of the strategic road network: motorways and major A roads. Fifty four of the 112 schemes in the RIS are only scheduled to start in 2019, the final year of the current RIS. There is also a funding shortfall of £841 million with costs exceeding the amount of money available. “So far Highways England has completed six projects on or ahead of schedule and has started construction on a further 19, with 16 planned to be on or ahead of schedule. Highways England forecasts that these projects will be delivered 5% over budget. Highways England met its efficiency savings target of £33 million for 2015-16, and expects to exceed its target for 2016-17, but it has to achieve 70 per cent of its savings target of £1.2 billion in the final two years of the strategy. Highways England is also facing challenges in recruitment of staff to cope with the increased workload. It plans to procure contracts for 57 projects in 2017, compared to six in 2016, but is 19% below its target headcount for procurement and commercial specialists who are in high demand. Highways England has been filling gaps with consultants and interim staff, who cost on average three times more than permanent employees. “Highways England is now reviewing the portfolio of enhancement projects to improve value for money, and has so far identified 16 projects which present a risk to value for money. Highways England and the Department are exploring a number of ways to manage this risk, including revising project design, cancelling projects or delaying projects to enable further assessment of benefits. Highways England has also developed options to bring forward the start dates of up to 10 projects and to delay up to 19 to reduce the number of projects due to start in 2019-20 to establish a smoother delivery profile and reduce disruption to the road network. While this may mean that some stakeholder expectations are not met, value for money depends on the Department and Highways England proceeding, in this and in future road periods, with a realistic and affordable plan. “We agree with the NAO that the first Road Investment Strategy represents a significant, long-needed improvement in the efficient management of the strategic road network. “Highways England has had a mountain to climb in gearing up for the scale of work involved, so it shouldn’t surprise us that in some respects it is still in the foothills. “Highways England must keep working to deliver the enhanced capacity, enhanced maintenance and enhanced safety we all want in a way that gives best value without undue disruption to the millions of road users who rely on the network daily.